Whether the cops in your town patrol in Crown Victorias, Ford Tauruses, Dodge Challengers or the occasional Lamborghini if you live in Dubai, make no mistake: the Seattle Police Department has them beat. 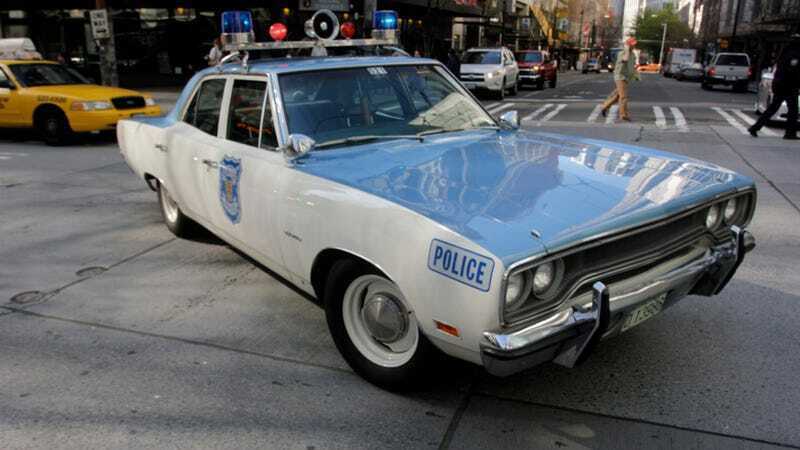 The Associated Press recently highlighted the 1970 Plymouth Satellite sedan that is currently in use by the department. It's not just some random old car, either; this Plymouth was actually a Seattle-area police fleet car back in the 1970s that has since been restored. Along with local car shops, Ritter and volunteers have 14 vintage police cars. They have restored six vehicles for the King County Sheriff's office, Washington state Patrol and the Seattle Police Department, and are in the process of fixing up another eight, which includes a 1979 Dodge Aspen. [...] The museum collection includes a 1970 Plymouth Fury, 1963 Plymouth Savoy, 1976 Dodge Dart, 1979 Dodge Aspen among others. The cars aren't kept at the museum's location in the SODO neighborhood because there isn't enough space. The "Ritter" in the story would be 30-year veteran Seattle officer Jim Ritter, who founded the nonprofit museum and uses the Satellite as his patrol car. Far from being a mere show pony, this old-school piece of American iron regularly takes part in actual police duties. Ritter says it's dropped more than a few jaws while it's out in the field, including from that of what he calls "the criminal element." Aside from a modern radio, the car lacks most modern police gadgets like a computer terminal or even air conditioning. Ritter even wears a period-appropriate police uniform to complete the effect. I think this is wonderful. How surreal would it be to see a 1970 Plymouth rolling code during a pursuit? I bet the mere sight of it has stopped a few crimes in progress.